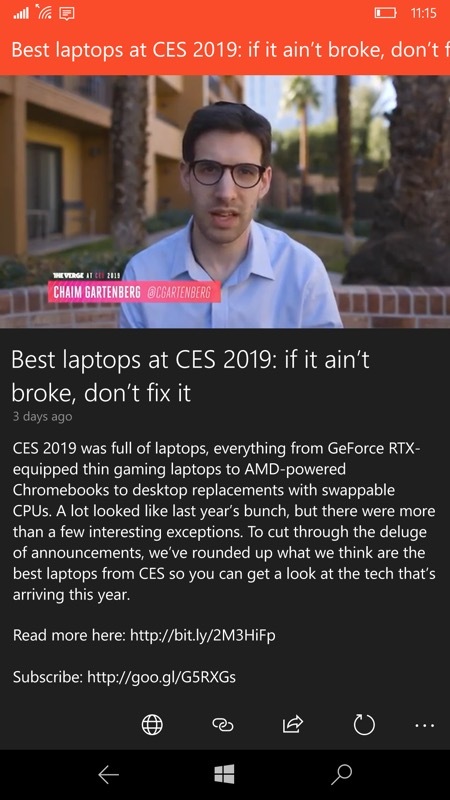 The Verge is one of the biggest online publications in the tech world and their site works 'OK' under Windows 10 Mobile and Edge - but it's not great and I'm still going to welcome a full UWP application for Windows 10, albeit from a third party developer. 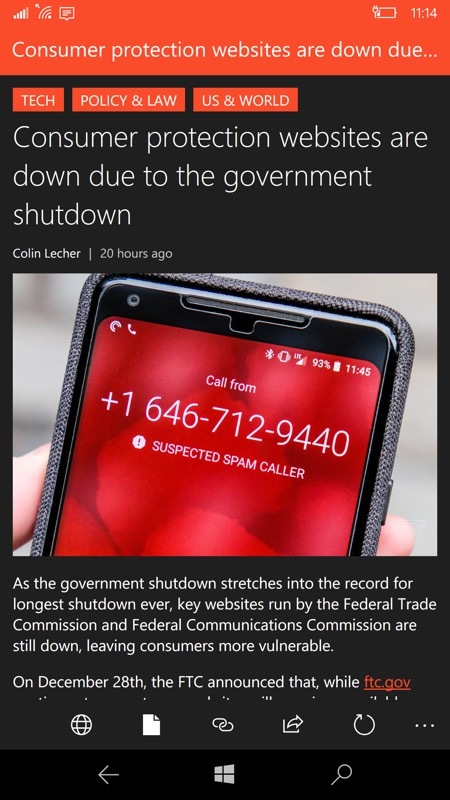 It works perfectly with Windows 10 Mobile ad even Continuum displays. 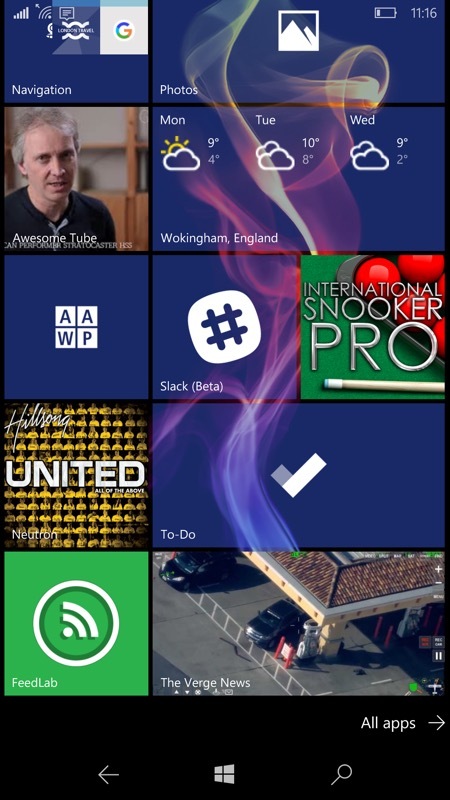 There's even a working live tile - and it's all free, so what are you waiting for? There's a bit of a USA focus for the content, of course, but you expect that from a USA-based publication. The Verge covers the intersection of technology, science, art, and culture. Its mission is to offer in-depth reporting and long-form feature stories, breaking news coverage, product information, and community content in a unified and cohesive manner. 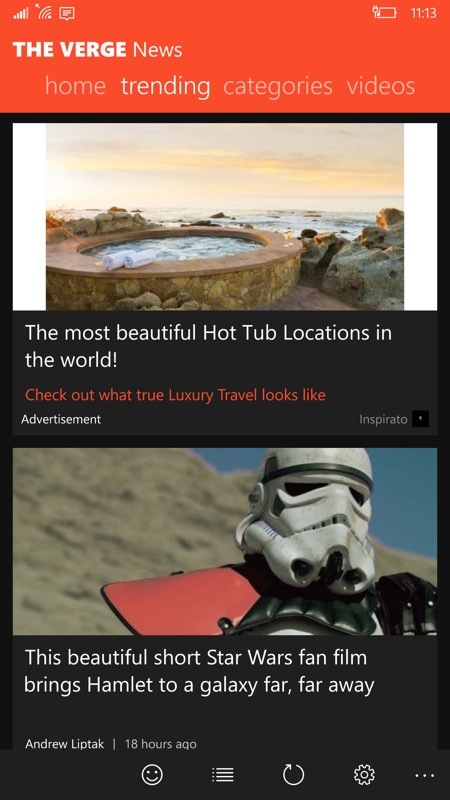 - live tile (works on Windows 10 Desktop, Windows 10 Mobile and Windows Phone 8.1 devices only). With four tabs covering 'home', 'trending', 'categories', and 'video', most of the site is covered and in splendid style - swipe between tabs, they wrap round if needed, and all further controls are within thumb reach at the bottom; (right) note that there occasional adverts disguised lightly as stories, as shown on top here. So be careful of those, as you're then booted off to Edge! Digging down into a story - it's all there but without any reader comments - for those, there's a control to open the full page on theverge.com; (right) browsing the article categories, with suitable header graphics. 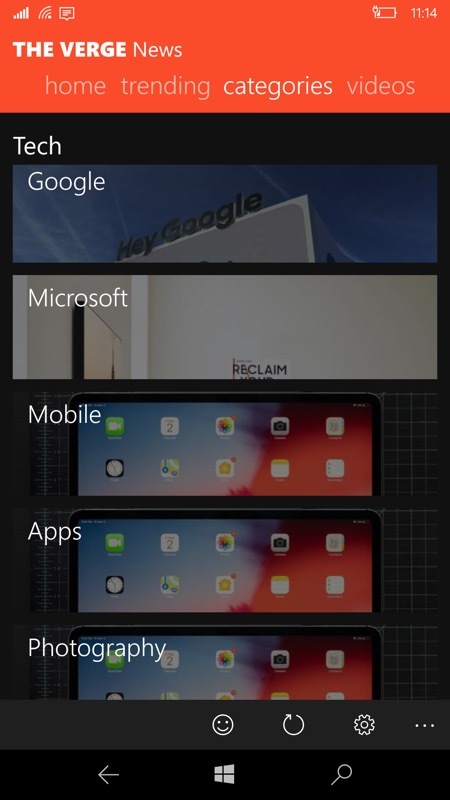 The videos section has loads of good content and videos can be rotated to landscape as needed; (right) there's live tile action, cycling through recent stories and headlines. 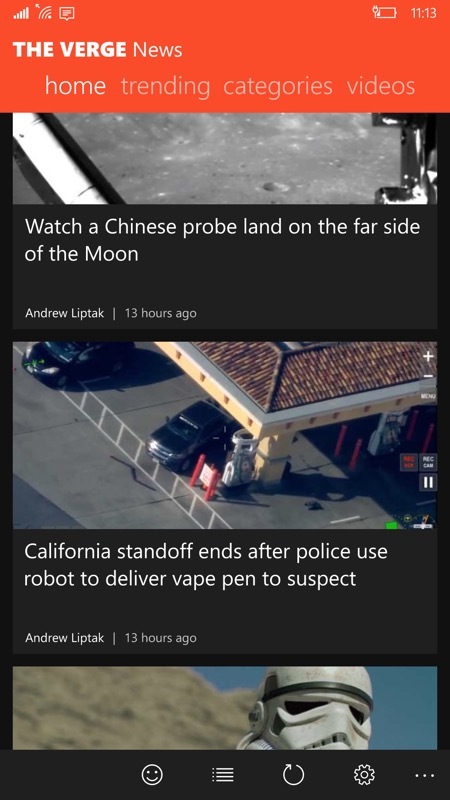 You can grab The Verge News UWP app in the Store here.